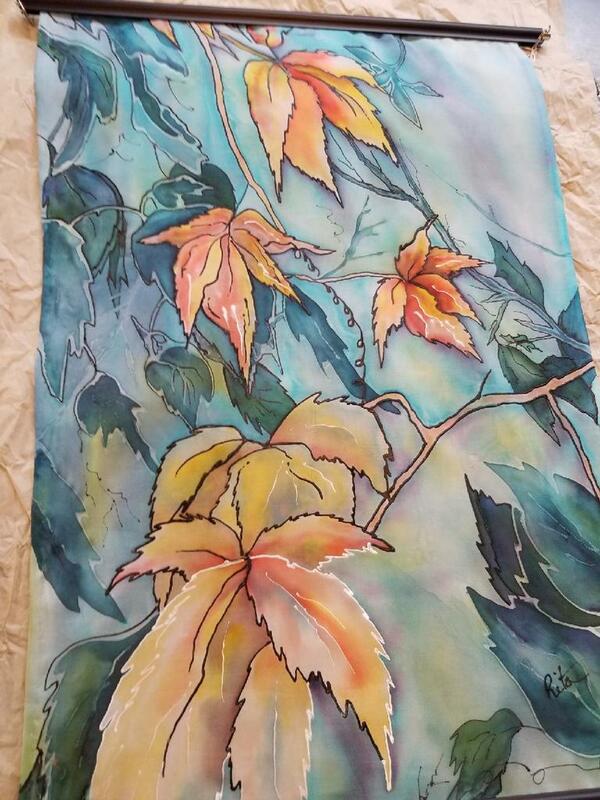 Intermediate class on batik style silk painting with the use of wax resists and gutta. Picture shows the theme of the class. Must have knowledge of drawing and painting. Bring an old T-shirt and lunch. Price is $100.00 for the class . ​ plus Cost of supplies is $65.00 (this includes a dye starter kit, 3 pieces of silk that are 15"x 24", a stretcher frame, and attachments). Registration deadline and payment for class is one week prior to workshop.